If you have been thinking about joining my team, April is the month to do it. 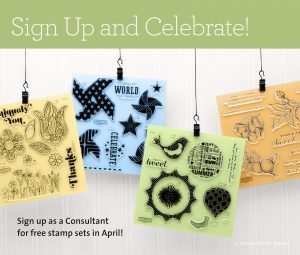 As a new consultant, you will receive all of the remaining stamps of the month for this Idea Book for FREE! That’s a $71.80 value plus shipping and tax are FREE! So, a $49 kit will get you over $200 in product…plus, you can order anything else you want at a 22% discount. Can you see why I love this company?! 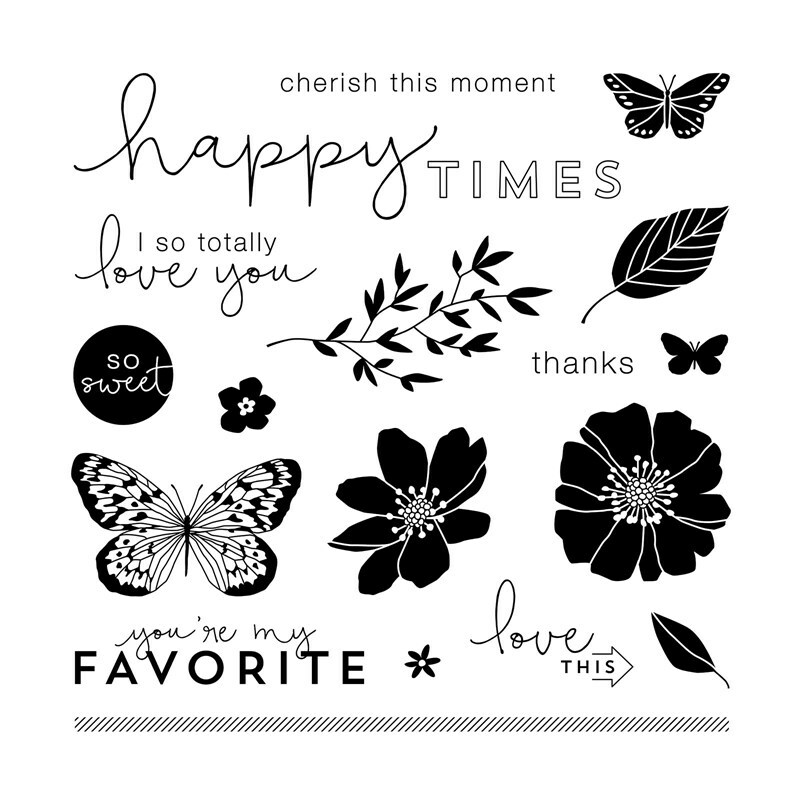 Spend $50 and get this Stamp of the Month set for just $5 (regularly $17.95). 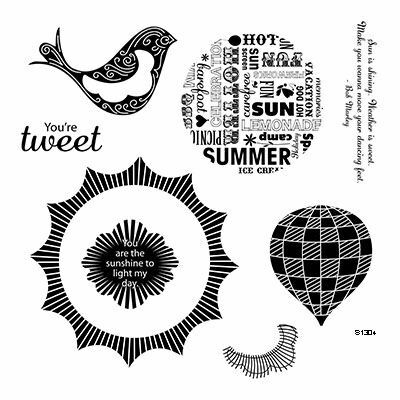 This stamp set also coordinates with images on the Artiste Cricut cartridge! 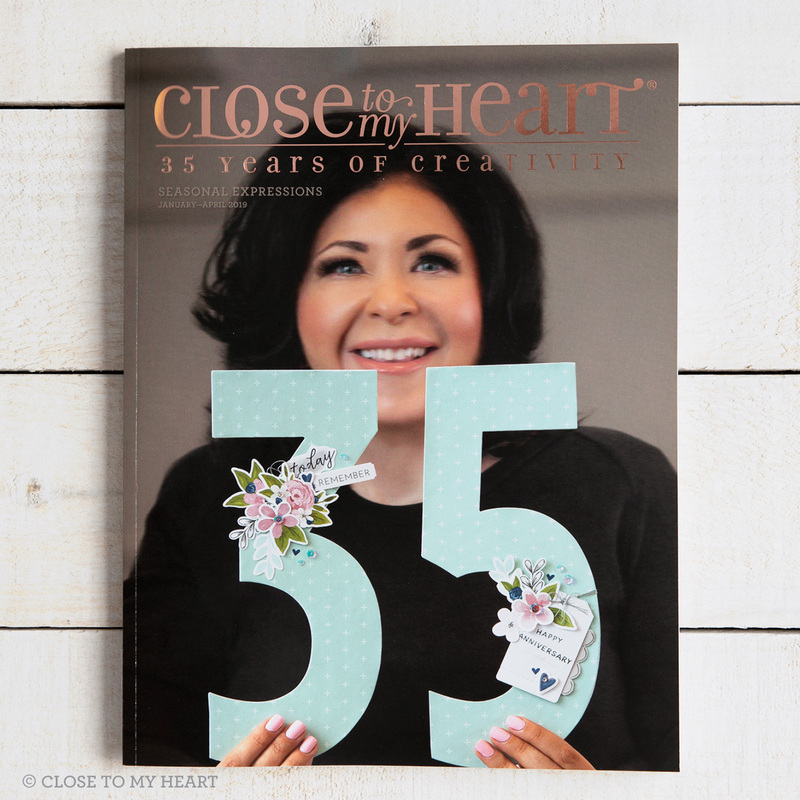 Celebrate your creativity by reading the Close To My Heart newsletter each month! February is sure to be a month of digital delights because you can purchase any Studio J layout for only $5—that’s a savings of $1.95 per layout! This is a great opportunity to try Studio J for the first time or to join my Studio J club! When you join my Studio J Club, you’ll earn 2x the rewards! Studio J has something for everyone. 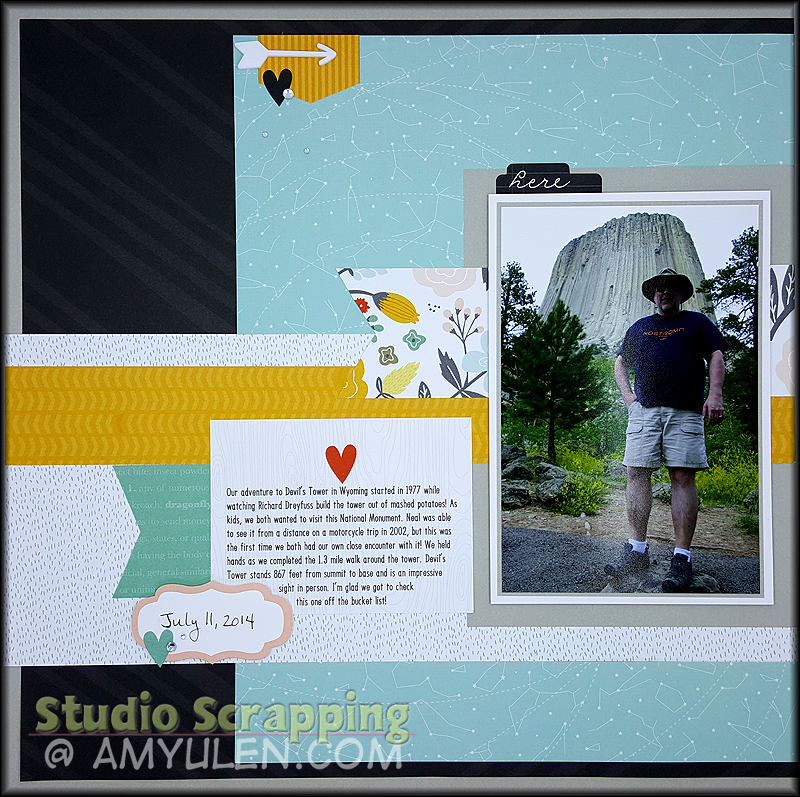 If you are new to digital scrapbooking or short on time, the Express Collections allow you to drop in your photos, add some journaling, and you are done! 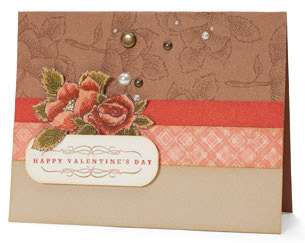 If you have a little more time but still want Studio J to do most of the work, you can choose a regular layout with pre-placed embellishments. If you really want to flex your creative muscles, you can start with a clean page and embellish to your heart’s content. 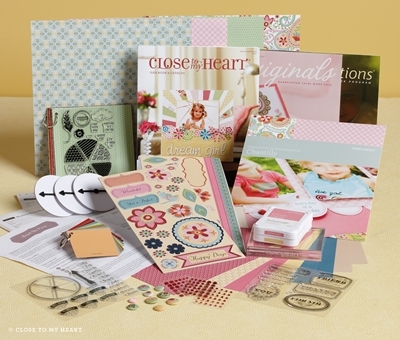 If you prefer hybrid layouts, you can leave the embellishments off all together and add them with your classic supplies once you receive your printed layout. If you are a seasoned digital scrapbooker, you can drop your layouts or PNGs into the “No Limits” layout and use CTMH’s embellishments/papers to finish your artwork. 1) After you purchase your first 10 layouts, I will give you a FREE layout! 2) When you place an order through the “Studio J Club” link each month, I will keep track of your retail purchases (includes both Studio J and regular product orders). Once you hit $150 in retail purchases (excludes shipping and tax), you will earn $25 in FREE select product credit (SPC). SPC can be redeemed for Studio J layouts ($6.95/ea) and Studio J 5-packs ($39.95) in addition to a wide range of classic products. In addition to the great rewards listed above, Studio J Club members are invited to attend free training sessions with me both in person and online. 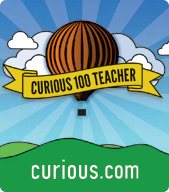 Although my rewards program is fantastic, memory keeping with Studio J is the real prize! 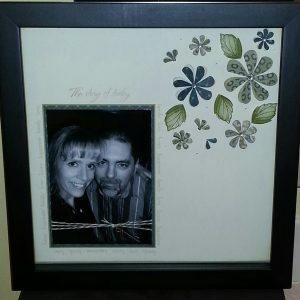 Studio J is the most cost effective and quickest way to scrapbook. 1) There is no software to purchase. As long as you have a computer with an Internet connection, you can use Studio J for free! 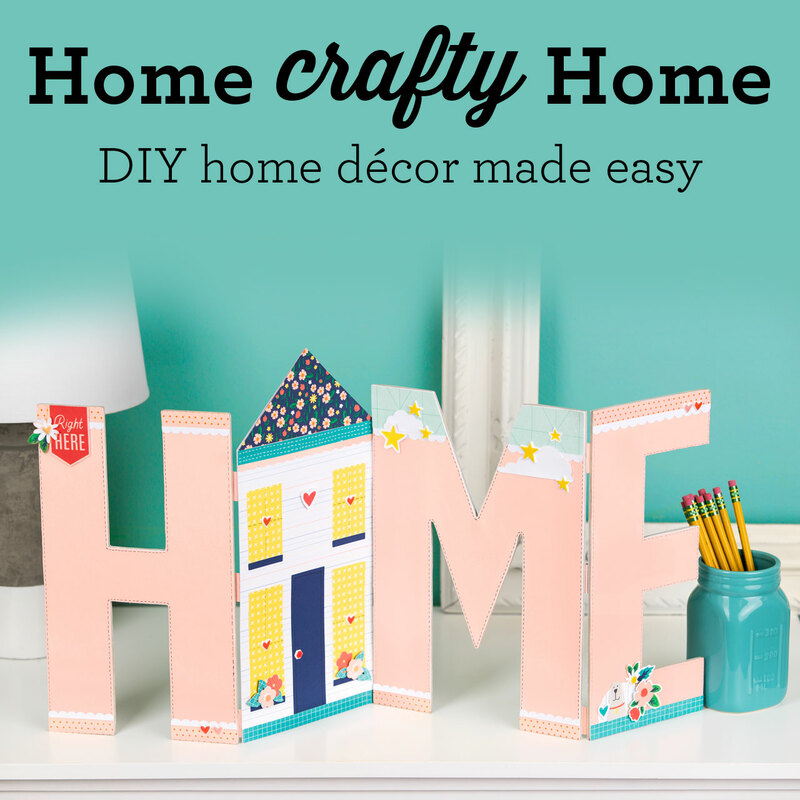 2) There are no templates or kits to purchase. Studio J has 70 double-page templates and 108 kits…this is a savings of $2000+ depending on where you buy your digital supplies. You only pay for your printed layouts! 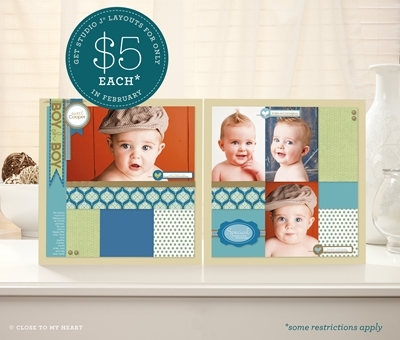 A layout consists of 2 pages for $6.95. 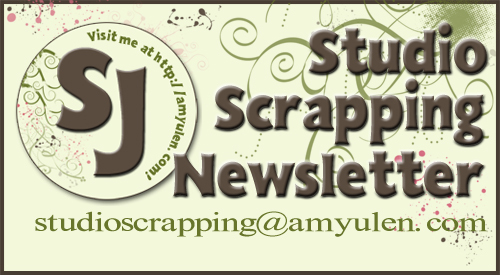 During February, 2013, layouts are only $5, so this is a perfect time to try Studio J! 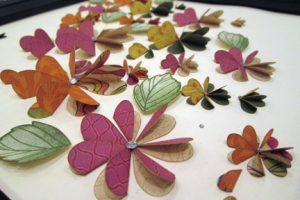 When I first saw this artwork on page 48 of the 2012 Autumn/Winter Idea Book at Convention last summer, I fell in love! 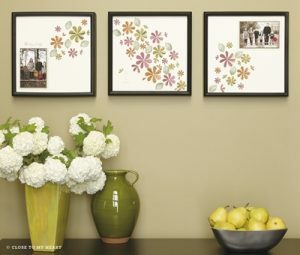 It wasn’t the paper or the colors, it was truly the design of the wall hangings. I knew that I had to create that for my home. I instantly thought about the empty space above the TV and knew it would be perfect there. In retrospect, it won’t look as cute as the display in this photo, but at least I’ll get to admire it every time I’m watching TV! Luckily, because I attended Convention, I was able to look at the artwork up close and personal! That is one of the many perks to being a Close To My Heart Consultant. We’re allowed to take as many photos as we like which has helped me tremendously as I recreate some of the gorgeous artwork from the Idea Books. Close To My Heart also provides us with recipes for each Idea Book. Did you know that you can download the recipes from my website?! The recipe let me know that I was going to cut out a bunch of hearts from the Art Philosophy Cricut® cartridge and also gave me the cutting sizes! That part of it could not have been any easier. At this point, I can’t remember how many hearts I cut out, but it is a LOT. Now the fun part…scoring, folding, and inking the edges of all those little hearts! That’s what I did today for a very extended 13-minutes while we watched the Seahawks game. This is probably the most time consuming project I’ve ever done. I didn’t even come close to finishing today, and this project has been sitting on my table for a month! 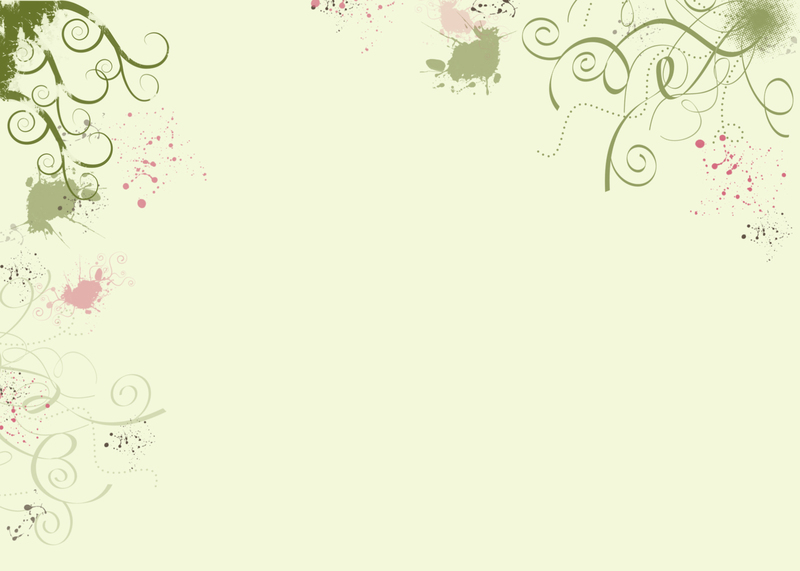 This is my version using Avonlea! So, the good news is that I finished up the left side of the layout with my club last month. The bad news is that the right side still has a bunch of hearts to fold, but everything has been inked. The depressing news is that the middle section hasn’t been touched…do you see all the hearts on that page?! The good news is that my club comes back in a week, so I have to finish it by then! So, guess what I’m spending 13-minutes a day on for the rest of this week?! I’m definitely smitten by the January 2013 Stamp of the Month. 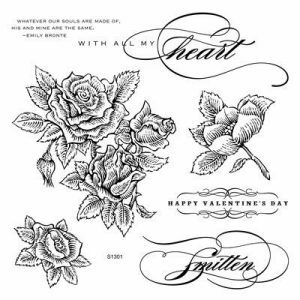 This set is perfect for cards and layouts devoted to Valentine’s Day, but I can also see these images on my spring and summer projects. I can’t wait to break out my new markers or the watercolor pencils and waterbrush to recreate some of the artwork posted by CTMH. Beautiful card created by the CTMH art department. 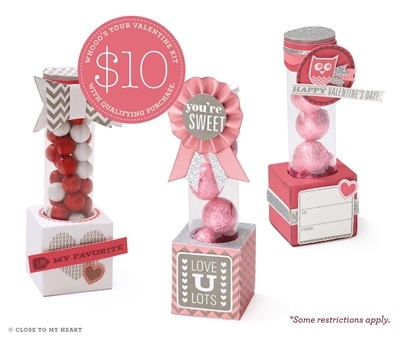 This set makes it easy to share your love!